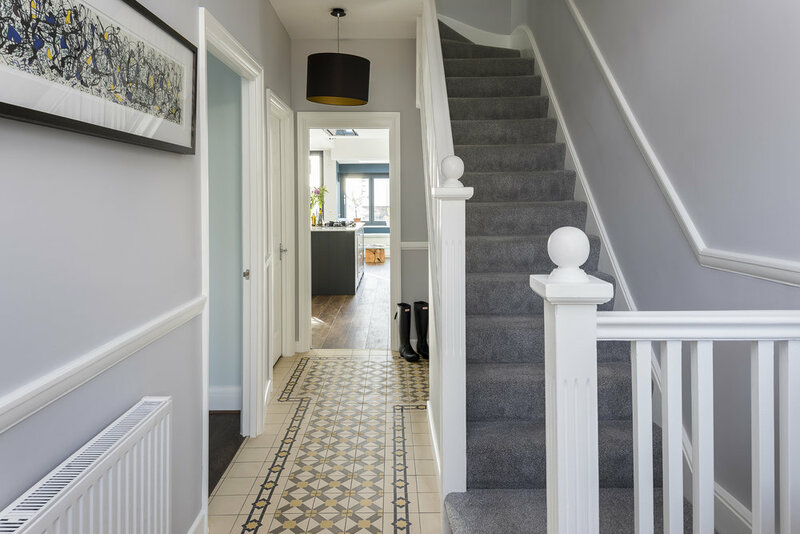 A staircase is often the focal point and central design feature of any home. 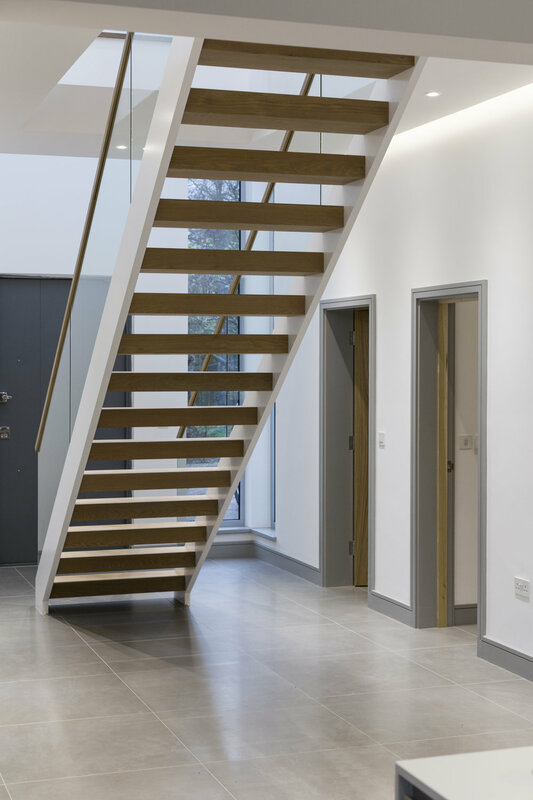 The form, layout and use of materials are critical elements of the design for a new or refurbished staircase. 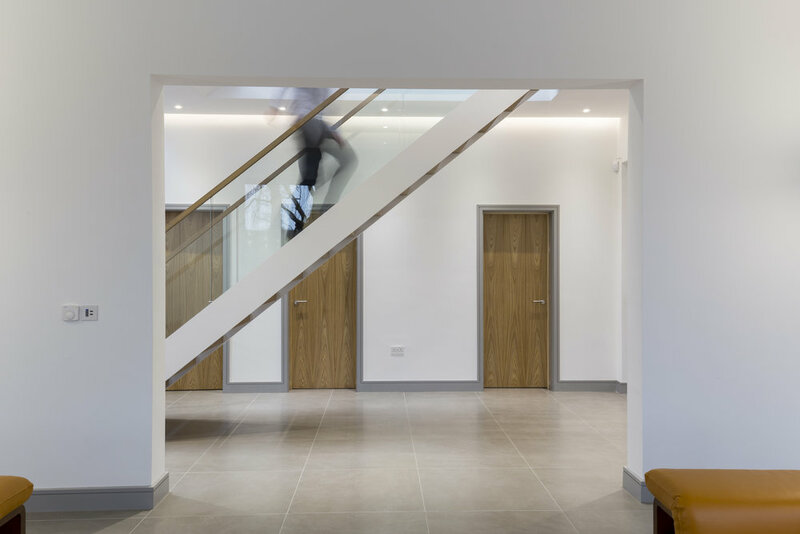 The design of any staircase must meet the latest building regulations. The first element of designing a staircase is to work out the number of rises. This is calculated using the floor to floor height. The design of the staircase can come in many forms from; straight, L-shaped, spiral staircase or curved. A staircase consists of risers, treads and balustrades and restrictions of heights and angles apply to all elements. 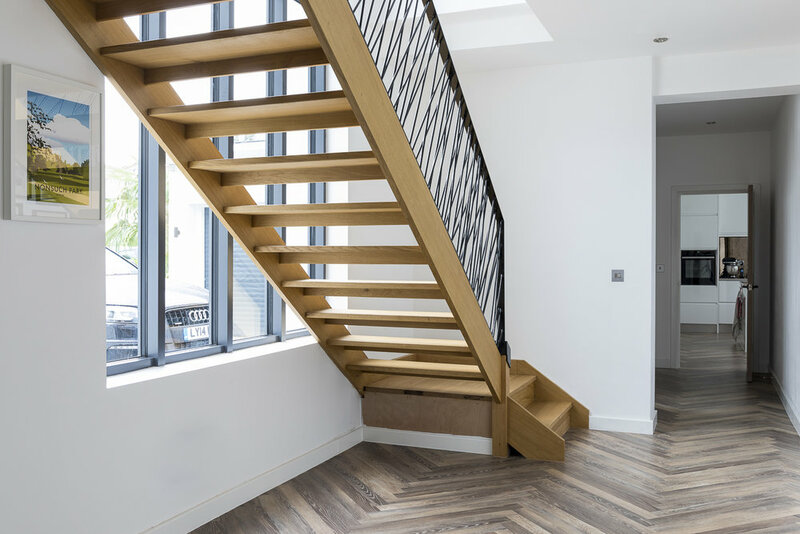 The use of materials can range from metal through to natural timber and will have a huge impact on the appearance and the feel of the staircase. It is important to remember the durability when choosing the material for the treads. The flooring to both the lower and upper floors will need to be taken into consideration when choosing your materials. Stairs are referred to as having 'open risers' where treads are separated by a 'gap' in the structure of the staircase. A 'closed riser' incorporates a solid vertical component between each tread on the stair. 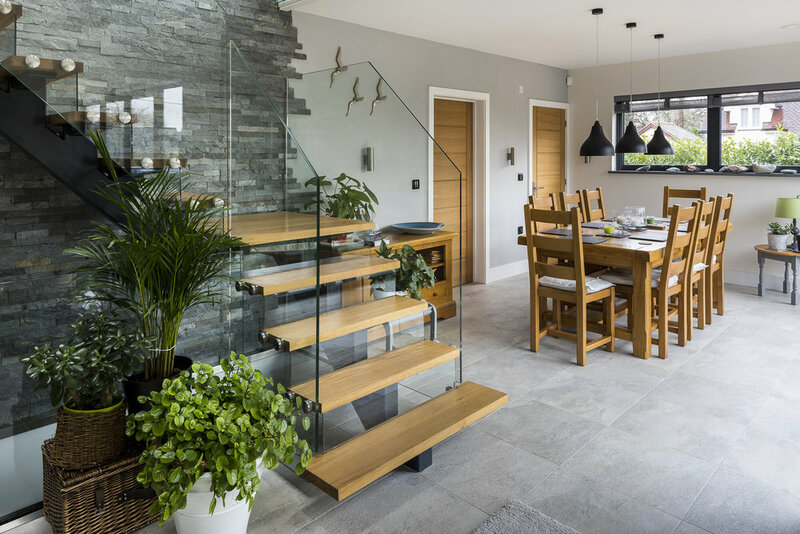 Open tread staircases can help create a stunning feature to a property, allowing views through the staircase and sunlight to stream through. 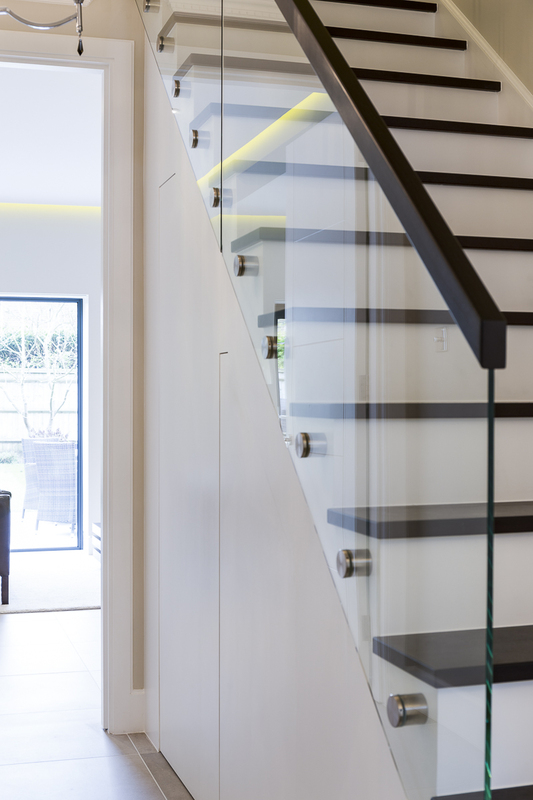 The staircase treads can come in a variety of materials from structural glass to warped timber. 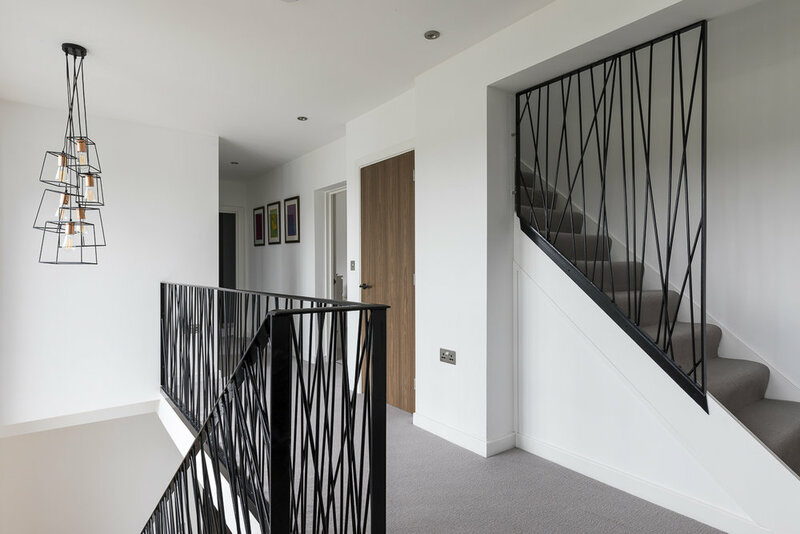 A staircase balustrade can come in a variety of shapes and materials enhancing the design of any staircase. The design can take the form of a classical Victorian staircase with vertical spindles and ornate newel posts, through to an ultra modern staircase with structural glass and an aluminum handrail. These elements add to the character and overall theme of any staircase design. When a step turns a corner it is known as a ‘winder’. A turn consisting of three winders is known as a ‘kite winder’. Other key elements are landings or half landings.